Woohooo... we have added Matching Note Inserts as a new option at Party Box Design! Precious 3.5 x 5 cards that coordinate with your invitations, making your invites even more special! Plus totally affordable, only $9.99 per invitation set... umm love that price! 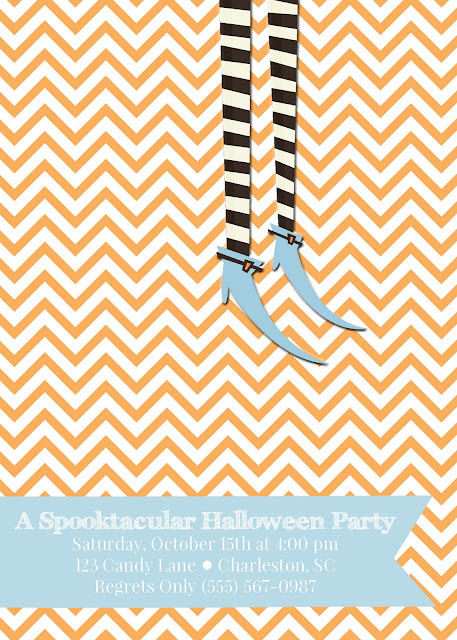 So crazy fun for sure... we are using note inserts in our Halloween Invitations this year!